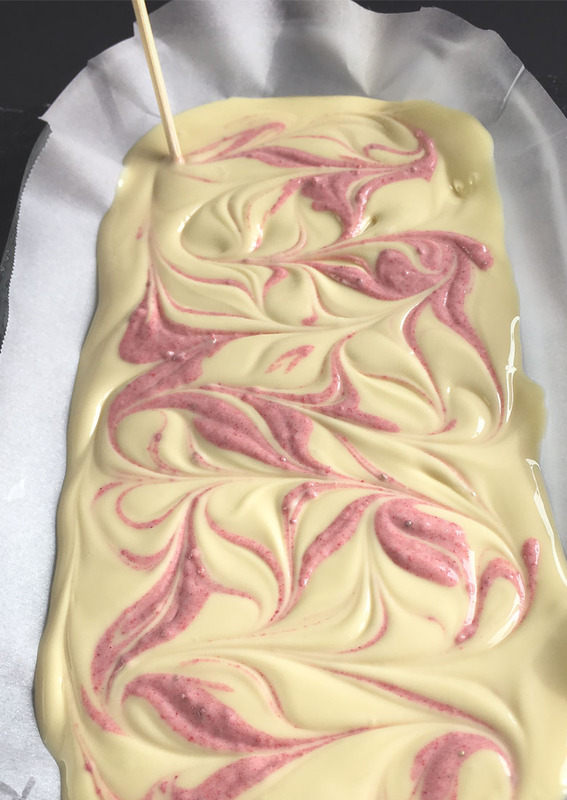 Strawberry swirled bark is sweet and just enough to make you smile. Share with your sweetheart this Valentines Day! 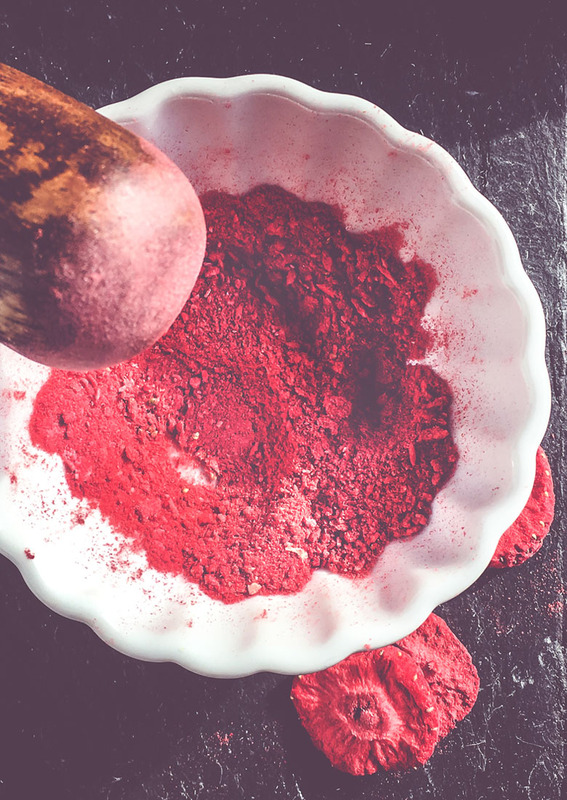 Take HALF of the freeze-dried strawberries and grind in a food grinder or processor till powdered. Set aside. 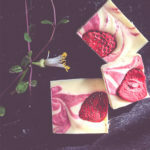 Melt 1 bar of white chocolate in a glass dish at 30 seconds in the microwave. Stir, then melt an additional 30 seconds, stirring after till smooth. Add the powdered strawberries to melted chocolate and stir well till nice and smooth and pink. 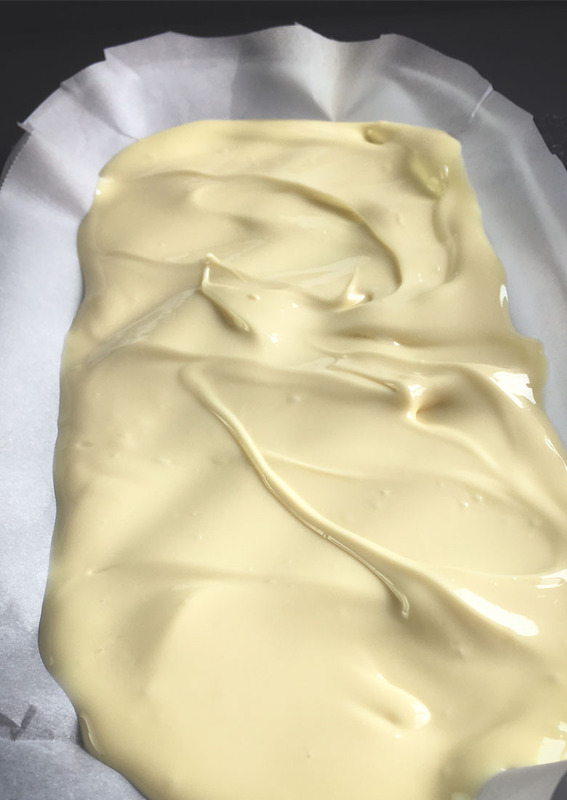 Melt 2 bar of white chocolate in a glass dish at 30 seconds in the microwave. Stir, then melt an additional 30 seconds, stirring after till smooth. 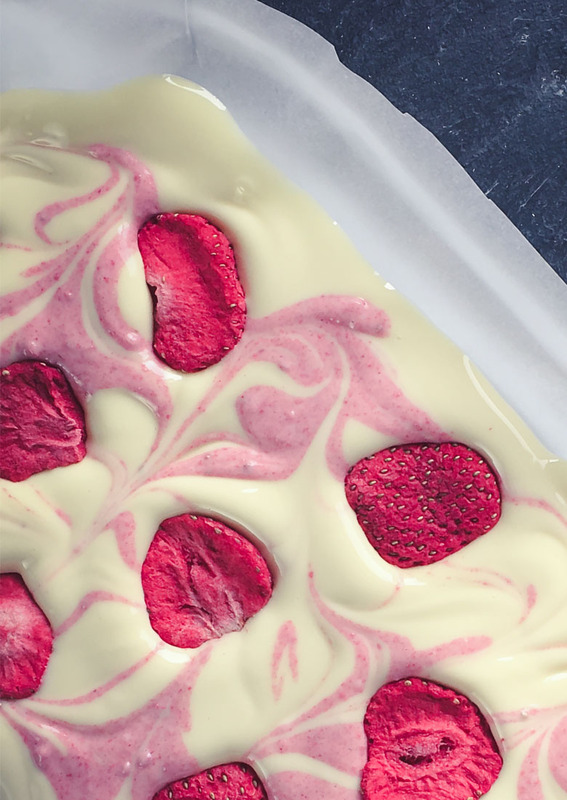 Pour this chocolate onto the parchment paper and spread till 1/2 inch thick in a rectangular shape. 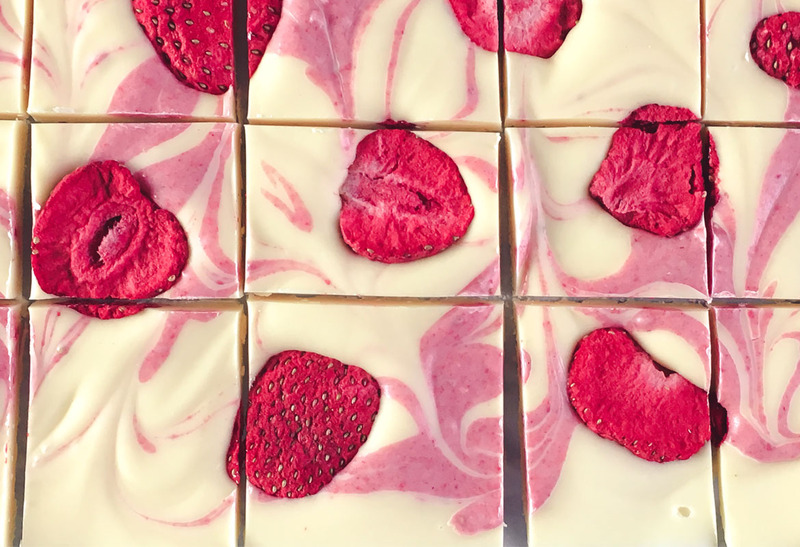 Dollop the strawberry chocolate onto the white chocolate rectangle. 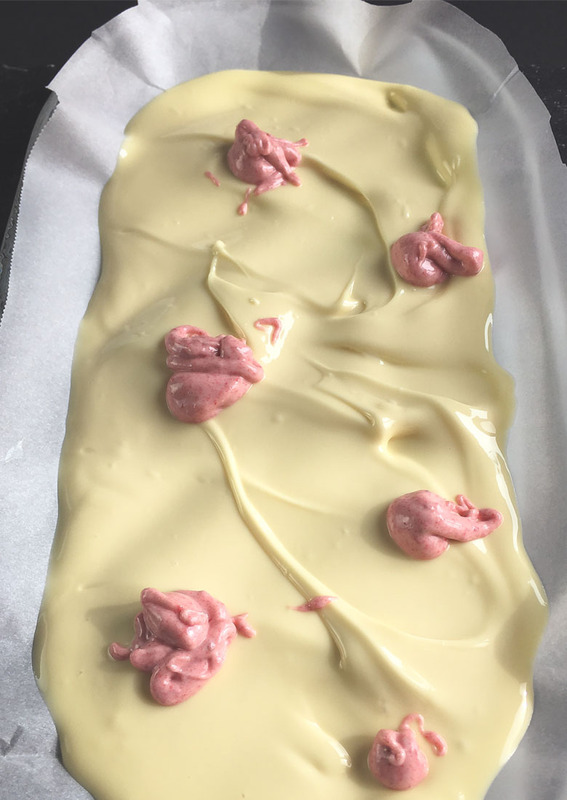 With a wooden toothpick or skewer drag the toothpick in the pink spots into the white chocolate. I am making lines up and down and across to create a marble effect. 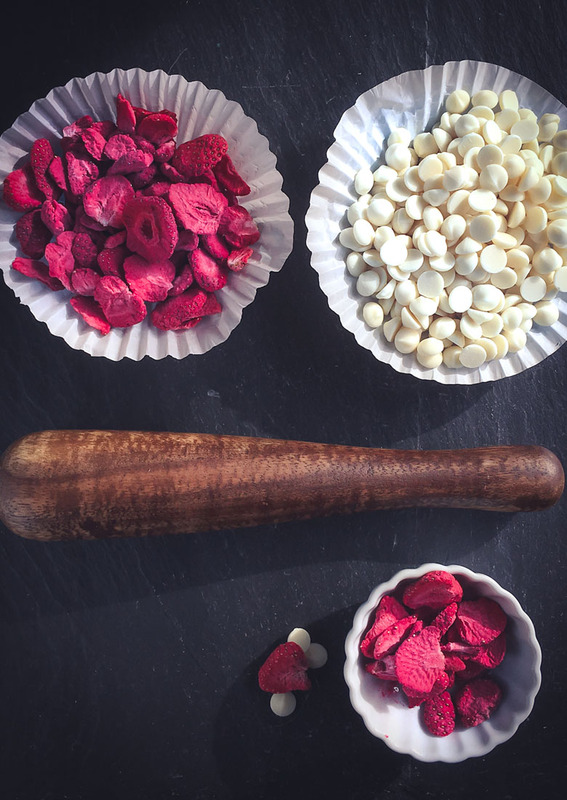 Gently press in the chocolate your remainder of freeze-dried strawberries. Cut with a long knife into pieces. 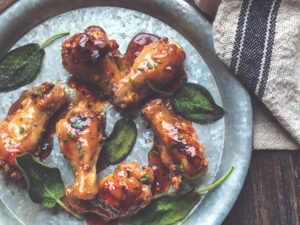 Return to the refrigerator in an airtight container until ready to serve. 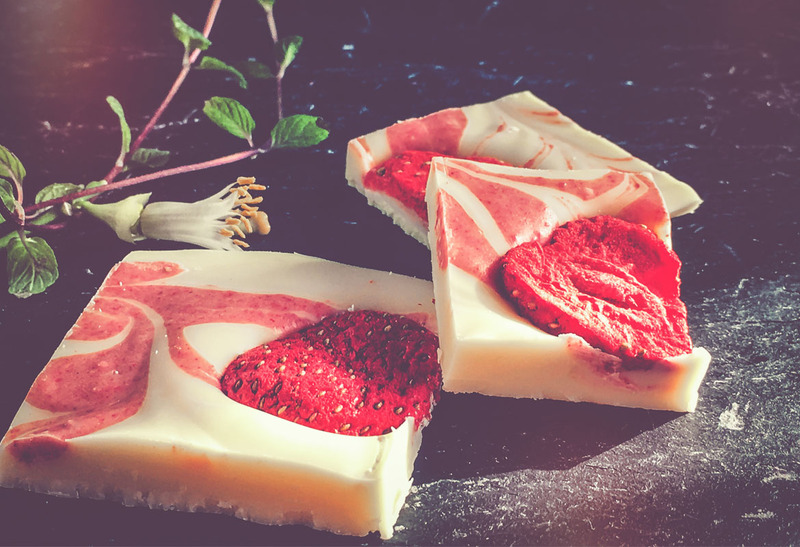 Strawberry swirled bark is sweet and just enough to make you smile. Strawberries are high in antioxidants, and extremely high in vitamin C! 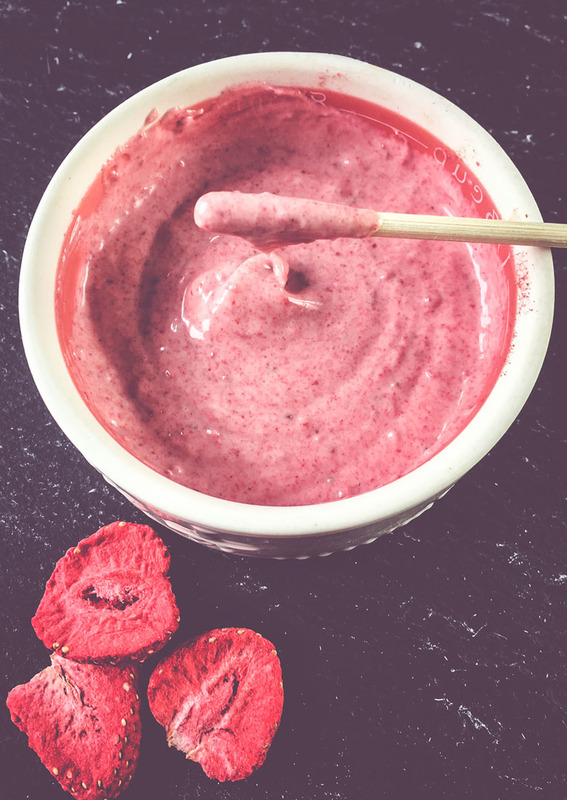 A bona fide super food, strawberry consumption can lower the risk of heart disease and certain cancers. 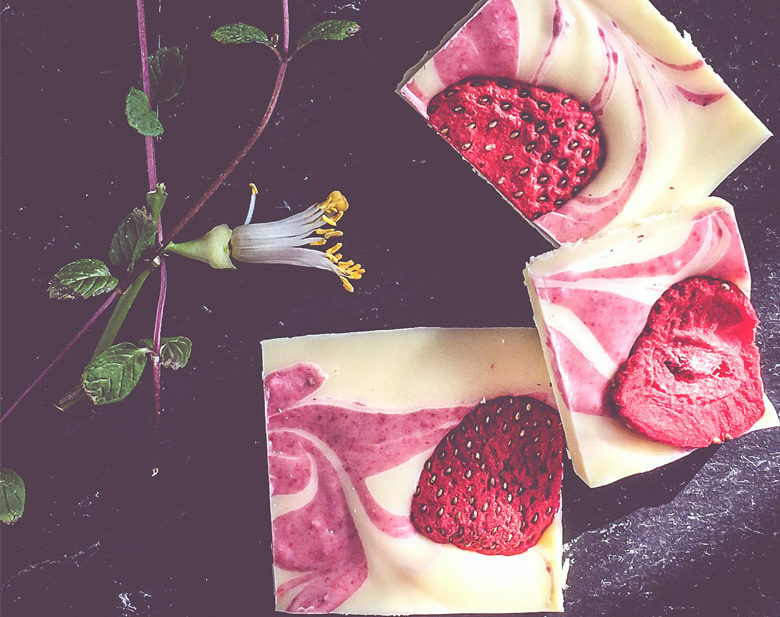 White chocolate does not have the same health benefits as it’s counterpart. So, we indulge here. Just be sure the white chocolate you buy is good quality made with cocoa butter as its primary source of fat. And read labels carefully to ensure it doesn’t contain any trans fat.